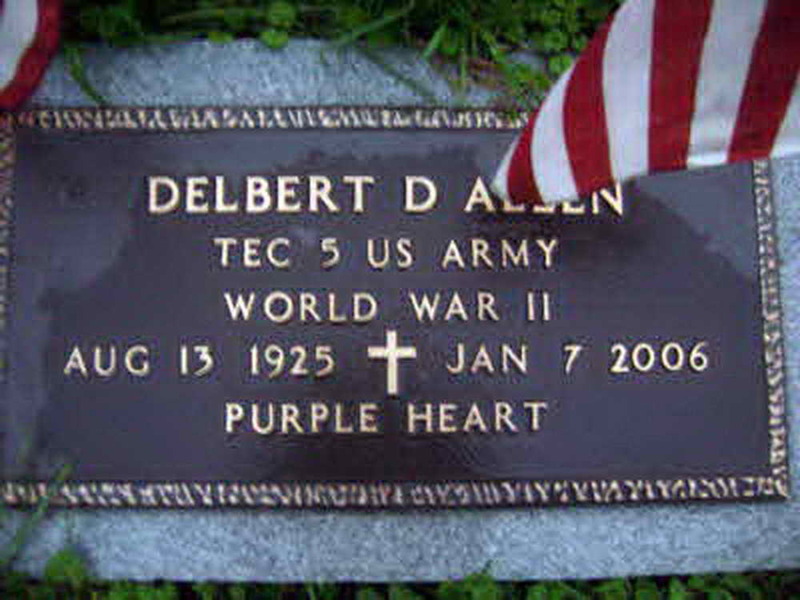 Delbert D. Allen, 80, of Orlando died Jan. 7, 2006. Service will be 11 a.m. Wednesday, Jan. 11, at Stockert-Gibson Funeral Home, Flatwoods. Friends may call from 6 to 8 p.m. Tuesday. Burial will be in Little Kanawha Memorial Gardens, Heaters. 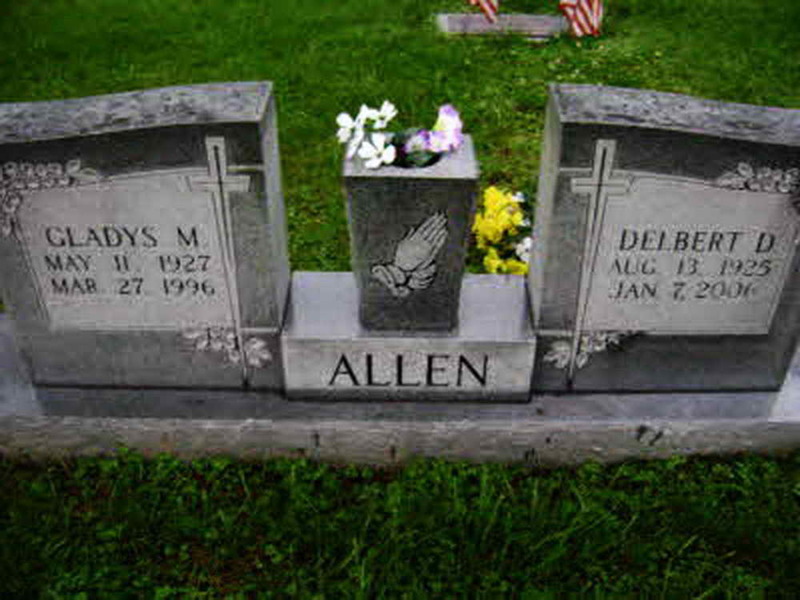 Grave markers for Delbert D. Allen in the Little Kanawha Memorial Gardens, Heaters (Braxton county), West Virginia. Delbert enlisted in the Army ca. 12943 and served with Hq 3rd, 508th PIR. He was wounded in action on 24 September 1944 in Holland and evacuated to a field hospital. He did not return to the regiment.